Man Behind Lens: Pic Used WITHOUT Permission! "Please take a look at this thread from a site from my home town, ( Southport ). If you could syn up & give your advice, it would be cool! All to do with a picture placed on the net then being used by a 3rd party without permission. My name on this site is Smudge1 so you can see what I have said." 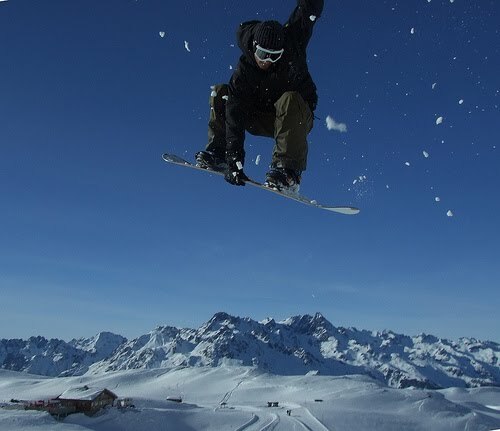 It seems a nice action picture of a skier in mid air, taken by Martin's friend (who call himself Greenlander) was the subject of the dispute. The action picture of a skier shot by Greenlander. 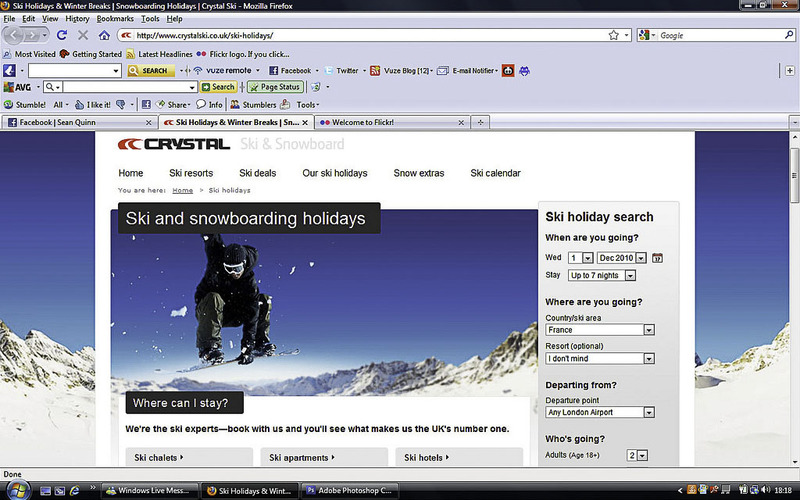 This is the home page of Crystal Ski, UK's largest provider of ski holiday. 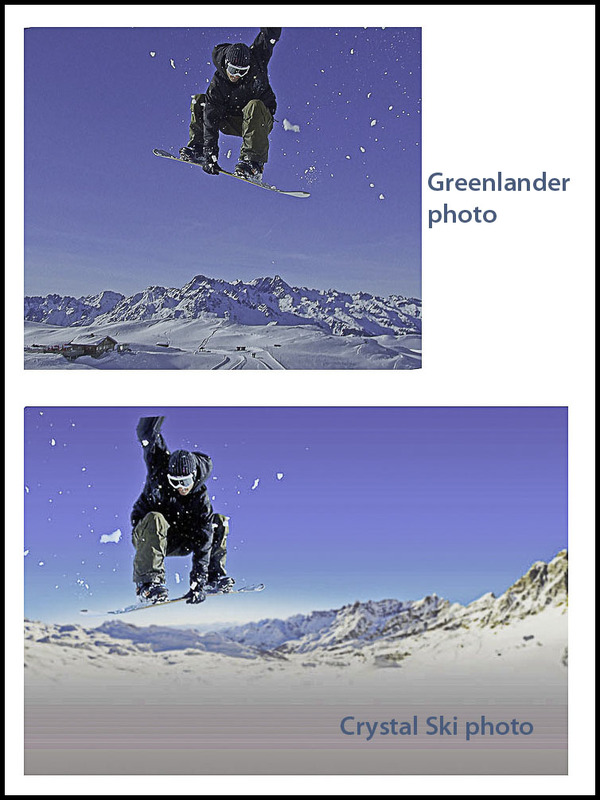 Greenlander claimed that skier photo is an edited copy of his image. But you say "They both look different!"... ha ha ha, the plot thickens! 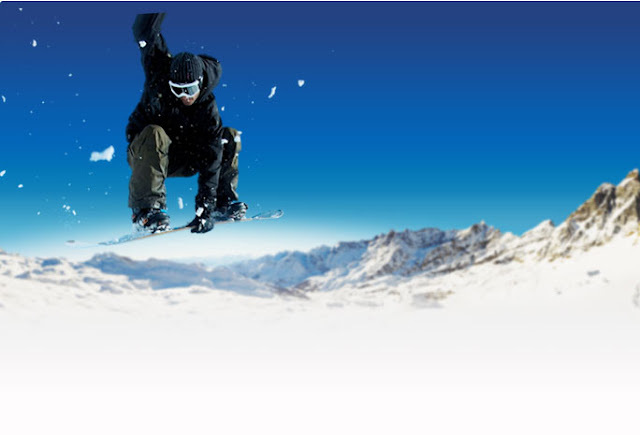 In Photoshop, I made a new blank image; to this I pasted the two pictures of the skiers. First I "flip" the Greenlander (GL) pic horizontally. Then I change the opacity of the Crystal Ski (CS) pic to 40% and move it on top of the Greenlander (GL) photo, where I then "free transform"; rotate and resize the CS pic to match the GL pic as close as possible. The adjusted CS pic is brought back to 100% opacity. Obviously, looking at the two photos, most viewers can tell you that the skiers are the SAME person, shot at the SAME instances! The flakes of snow! Both pictures have the flakes at the same spots! 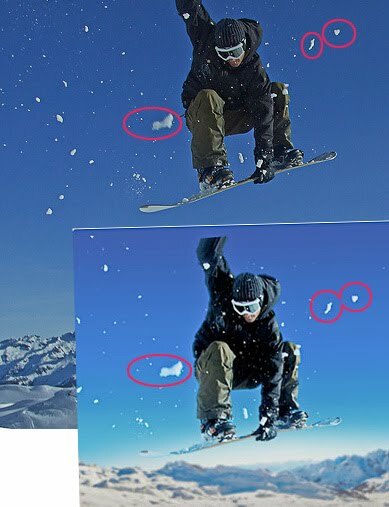 Whoever try to make the Crystal Ski version different, thought that; by flipping the Greenlander's and pasting that to a different "ski location"; can have every body fooled! Now that we have proved that Crystal Ski used Greenlander's photo without his consent, what can he do? 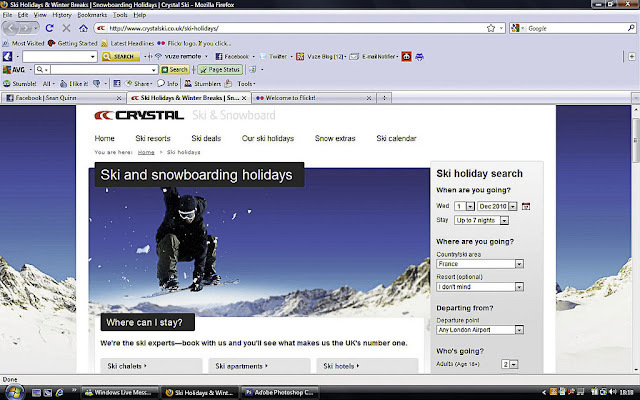 1) He can contact Crystal Ski and demand an explanation why they used his photo without asking. 2) He can get a lawyer and sue them, but the battle might be long and expensive. 3) Before he go for a lawyer, Greenlander better find out if Crystal Ski BOUGHT the photo from Facebook. If they did, GL cannot do a thing about it! Take a look at this write up about Facebook letting advertisers use your photos. Sad but true, people; how many times I told my friends NOT, NOT; NOT to post sensitive and sell able pictures in Facebook? Sometime I don't understand how some "Photoshop Artist" think they can get away with "obvious" image manipulations! Posting photos on Flickr, Facebook; Picasa etc., would leave it open to be downloaded and copied. With this in mind I put my copyright (© C.Y.Leow) on all the photos I put on the internet. 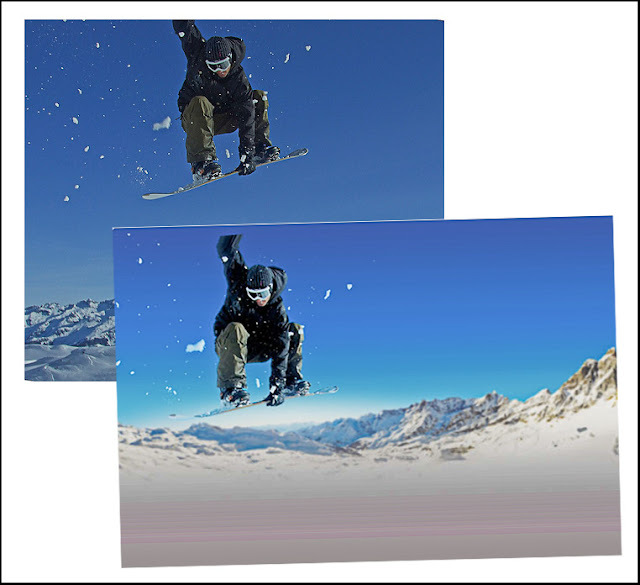 This is included in a Photoshop "action" where I automatically resize the photos before I insert them into my blog. In virtually all cases, I do not ask any payment from them provided they acknowledge and credit me. So far there were three instances my pictures were used without my knowledge and were found out, after I contacted the users they removed or credited me. One major problem with photos on the internet – it is world wide. If this company used photos without your permission and I saw them, how on earth would I take a giant American / UK company to court for breach of my copyright? Very simply, if you don't want your images to go public, don't put it on the internet. Duh! In Greenlander's case, Crystal Ski may not know the photo was stolen, it could be the designer who manipulated and used it, not everyone is honest. May be he or she took the chance that you will not see the picture published. Finally,even if you stops one downloading your image; is not enough to stop the picture being copied. It is so simple to take a screenshot or as Mac user, a "grab"! The moral of the story is as you say,, if you don`t want your images to go public, then don`t put them online.The net should be viewed as a giant rubbish dump with the odd diamond and the normal rules of conduct don`t apply because of the sheer size of the internet and anonymity of users, so it`s often open slather. "Thanks for all the response guys, and the blog entry! I'll contact the company and find out where they got it from. Photography is for fun, and part of that is posting on the internet, discussing and learning etc. I will not be putting my name across any pictures of stuff like that. As mentioned by Superbead I had no intentions to make money from any pictures posted on line. It would be nice to get a few £££'s though. lol"